It’s not always possible, but parking in a carport or undercover carpark is a great way to protect your car from UV rays and heat. You may also be tempted to park under a shady tree to keep your car cool, just be wary of trees that drop sap and the increased potential for bird droppings. If you do find any of these contaminants on your car make sure you have them removed as quickly as possible with a pH neutral car shampoo. Any shade is helpful to keep the temperature of your car down, with the interior of cars able to quickly reach 60-85 degrees Celsius when parked in direct sunlight. It’s a timely reminder that children, pets and perishables should not be left in cars in warm or hot weather, even when parked in the shade. Blaring sun and scorching temperatures can begin to dull and damage your paintwork. Regularly waxing your car after a thorough wash can provide the paintwork with extra protection from UV rays, dirty rain that often comes with summer storms and camping and salt and sand from the beach. Take your car into your local Magic Hand Carwash, ask for a Superior Service and they’ll take care of the rest. Better yet, why not consider investing in paint protection which will provide an extra tough layer over the paintwork protecting it for years to come. Low tyre pressure and hot roads can lead to dangerous tyre blow-outs - more common at speed - so it’s best to regularly test your tyre pressure so you can drive with confidence and proactively avoid this danger. Most service stations have a tyre pressure gauge and pump that you can use after you fill up your tank. You don’t need to be a scientist to know that hot weather causes evaporation of water, so it’s good practice to regularly check your car's fluids including radiator coolant, windscreen washer reservoir and also oil. Even if you have your car serviced regularly it’s still a great idea to check these over once every month or two so you can have extra piece of mind that your car will be running smoothly. When the sun is unavoidable, use a windscreen visor to keep your dash, steering wheel and seats protected from UV rays. They might not be the most stylish accessory around town, but they make a really noticeable difference. Not only will this prolong the life of plastics, vinyl, fabrics and leathers but it will keep your car cooler and avoid you burning your legs or hands as you get back into your car. Window tinting and side window visors for the rear of the car can also provide ongoing protection to the interior of the car as you drive around. 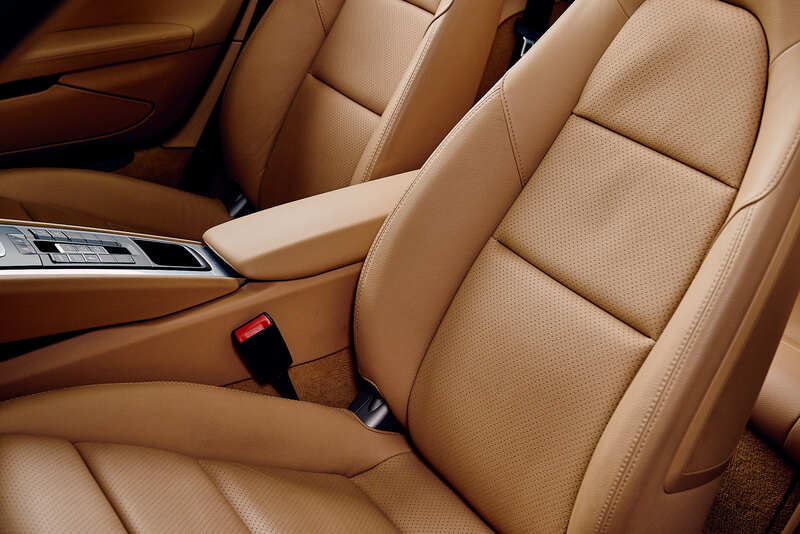 No matter if you regularly park in a shaded area, it’s important to regularly condition your leather so that it stays supple and avoids cracking over time. You’ll find this is necessary around every 6-months or so and is also something that the team at Magic Hand Carwash can help you with.